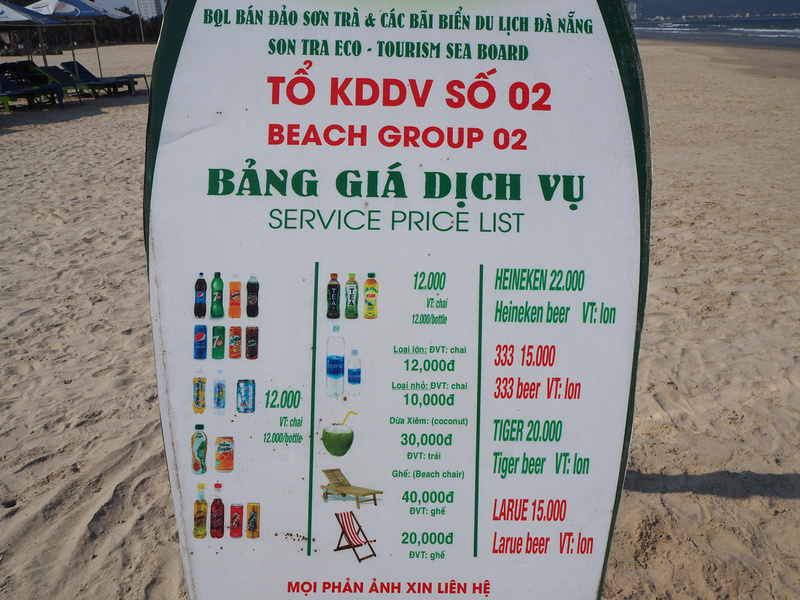 My latest trip to Da Nang marked a flippening of sorts in my Da Nang / Hoi An travels. Usually I have come to Da Nang on the way to Hoi An (Da Nang being the airport city for Hoi An). I noted in my 2017 trip report how Da Nang is becoming a destination in itself, and escaping from the shadow of Hoi An. This was the first time I went to Da Nang and didn’t go to Hoi An. This was a short visit so I was travelling with carry-on. The airport is in the city centre, and as soon as I exited the airport building I got into a taxi (no queue) and went straight to my hotel. From departing the plane to being at my hotel by the beach in about 20 minutes is absurd. Chiang Mai and Vientiane are the only other cities that I’ve seen that have an airport so close to the city. 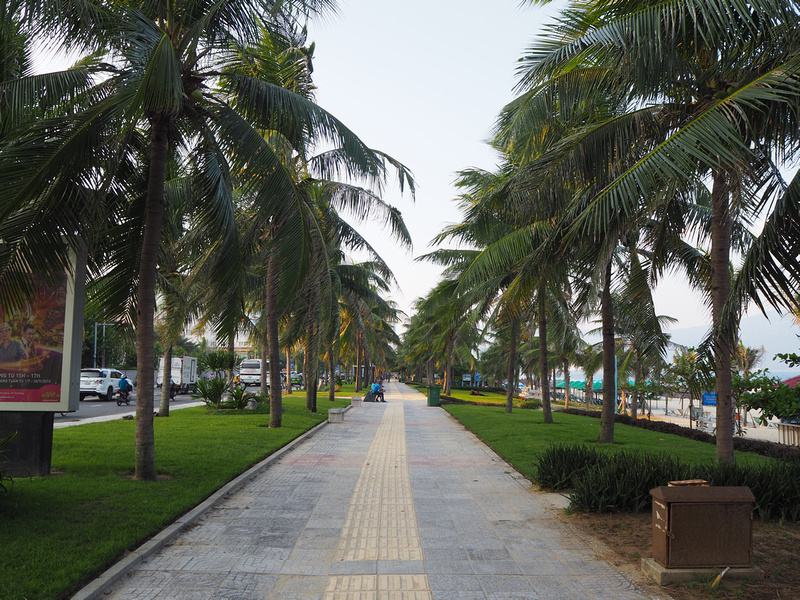 After arriving at my hotel I went straight to the beach for my “Welcome back to Da Nang” walk. I could not have arrived at a better day. With perfect blue skies and clear warm water, I was wondering why I don’t come here more often. 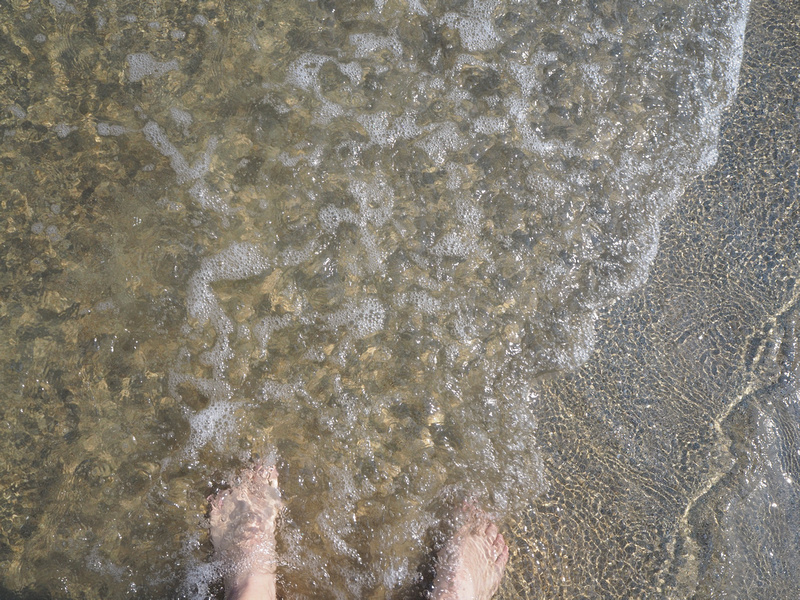 Walking with my feet in the water is my favourite beach activity. It’s a long stretch of beach and I had to keep an eye on the time, otherwise I would have walked all afternoon. I met some friendly fishermen, who still launch their boats from here. I wonder how long they will be able to continue fishing here. Along the beach there are beach cafes that serve drinks at local prices, and not over-inflated resort prices. Here the beer is cheaper than coconuts. For you beer drinkers out there, a local beer is 65 cents US (plus about a dollar to rent a chair). From the beach you see how big the skyline is getting. I walked along the main beach road afterwards to get an overview of what’s changed since I was last here. 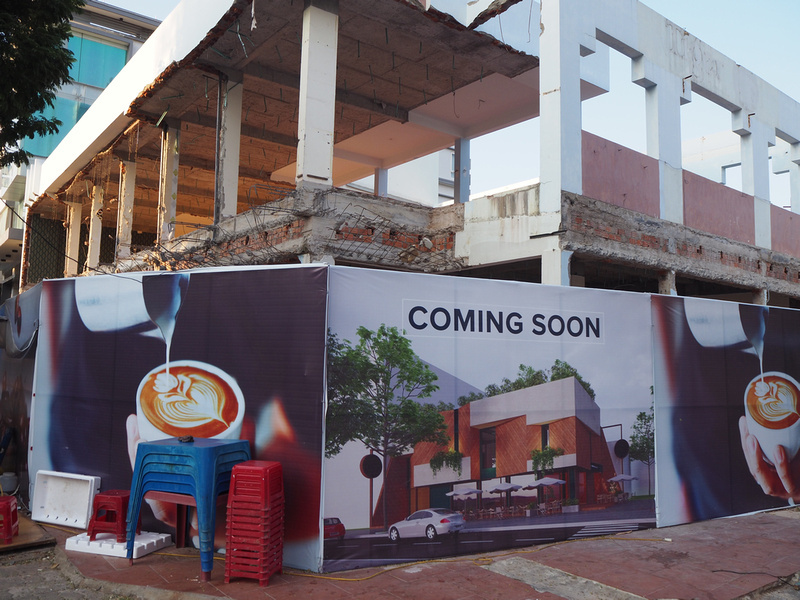 I have another website where I write about development in Asia, which was partly why I was here. 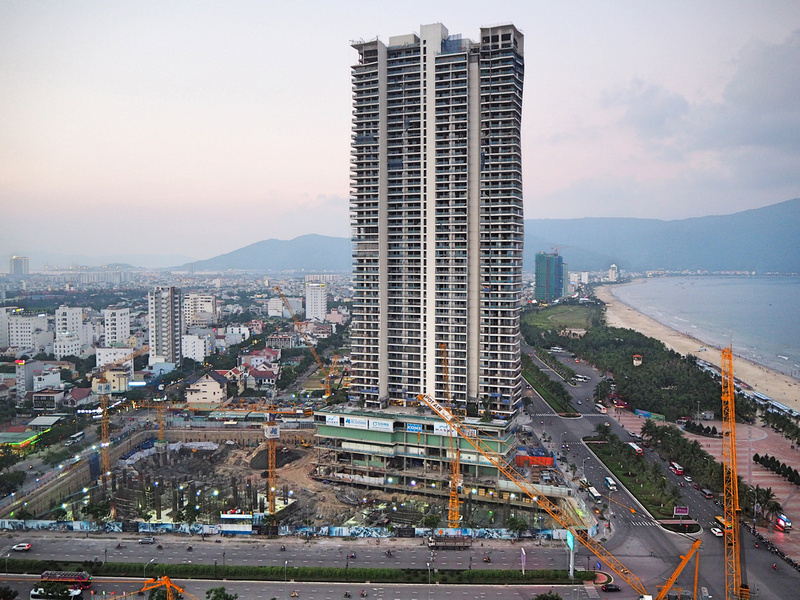 I have made a list of some of the major developments that are underway in and around Da Nang. This construction site will eventually be Times Square twin towers. Next to the Times Square project is the Wyndham Soleil. 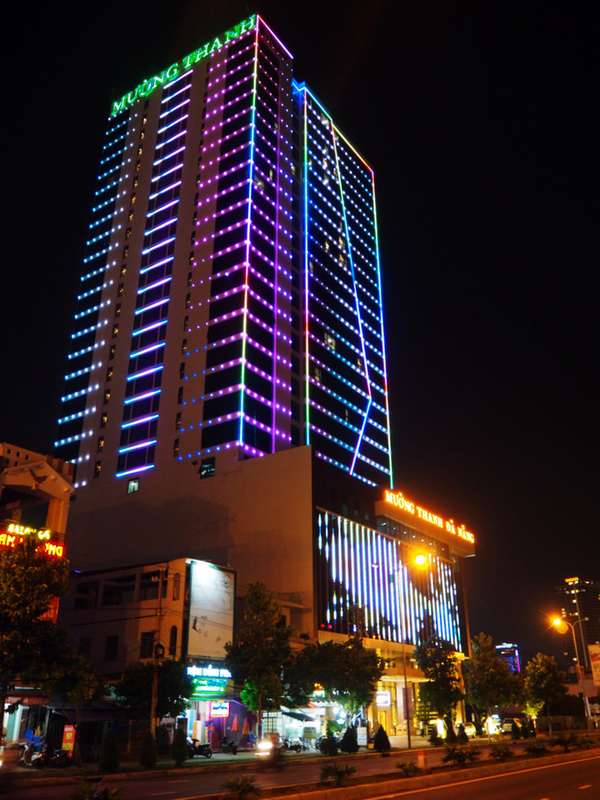 The new Muong Thanh hotel has added some LED light colour to the city skyline. There were advertisements for the Ba Na Hills resort everywhere, which is home to the Golden Bridge. In the name of reporting for this blog I went to visit the bridge held by giant hands in the mountains. 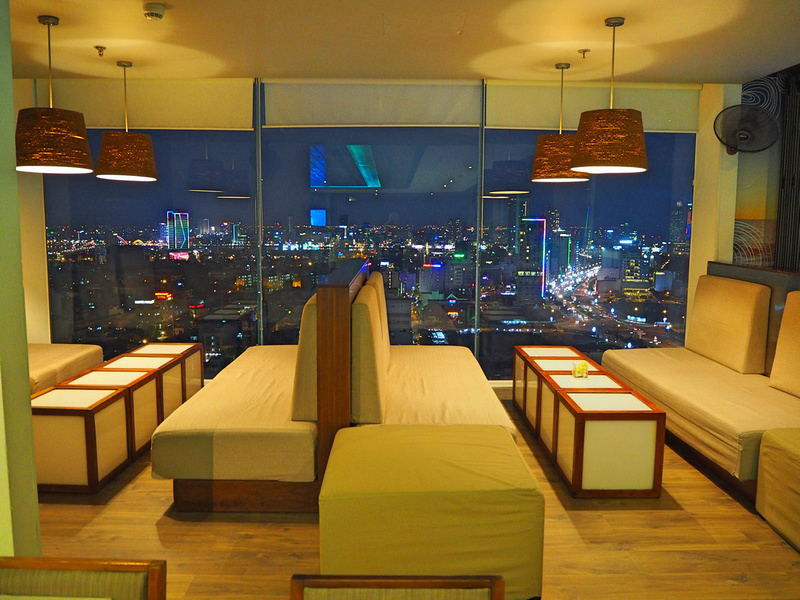 I went to the roof top bar at the A La Carte Hotel and had an overpriced beverage for the privilege of getting the best view in Da Nang. It’s definitely worth it for the city and sea views, though they will have some competition once the Times Square and Soleil buildings open up next door. 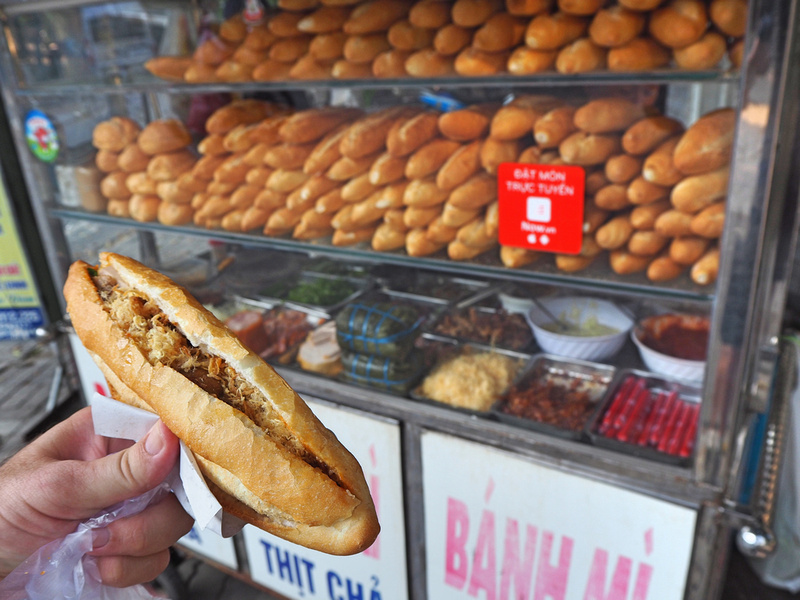 I didn’t know I needed a banh mi in my life until I walked by this banh mi stand. It was so good, and judging by the amount of rolls they had stacked up they must see a brisk business. I much as I love sitting on the sidewalk having a Vietnamese iced coffee, there has been a lack of cool cafes to work from. 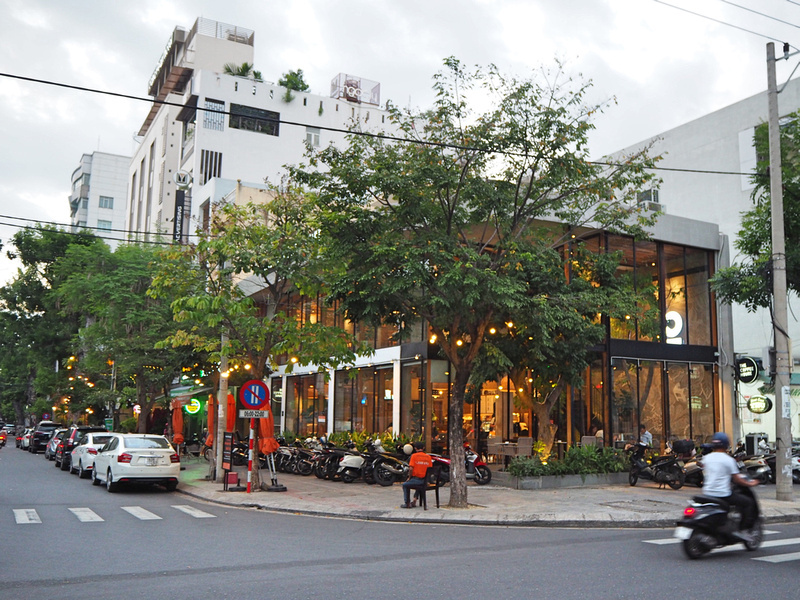 That is now changing as well and there are many great cafes in Da Nang. I checked for some cafes near me and saw a place called Why Coffee Roastery. It’s in the residential backstreets near the beach, and the cafe has good indoor and outdoor seating. The coffee is great as well. On the riverside of town I visited The Espresso Station. 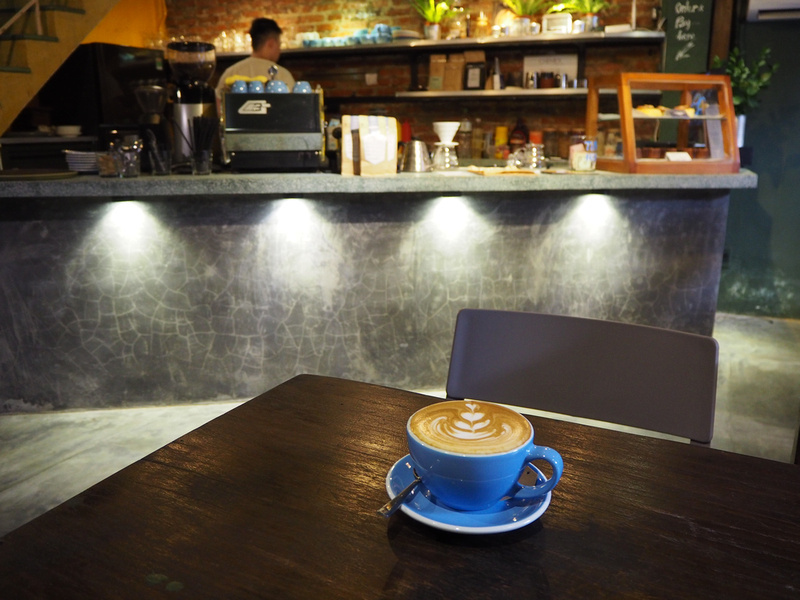 They have a cafe in Hoi An, and have now opened a branch in the city. 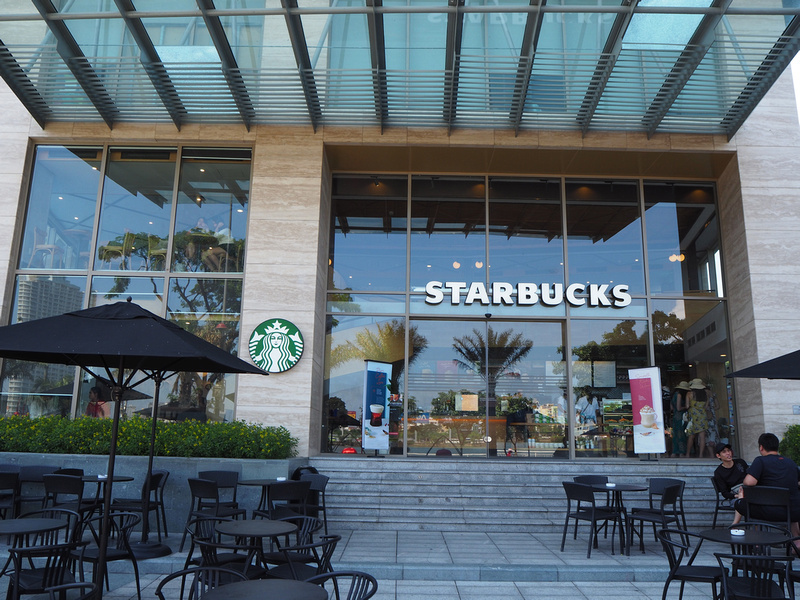 Since my last visit, Da Nang now has a Starbucks. Not that a city should predicate its self esteem on having a Starbucks, but it’s a good harbinger of a city becoming more international. 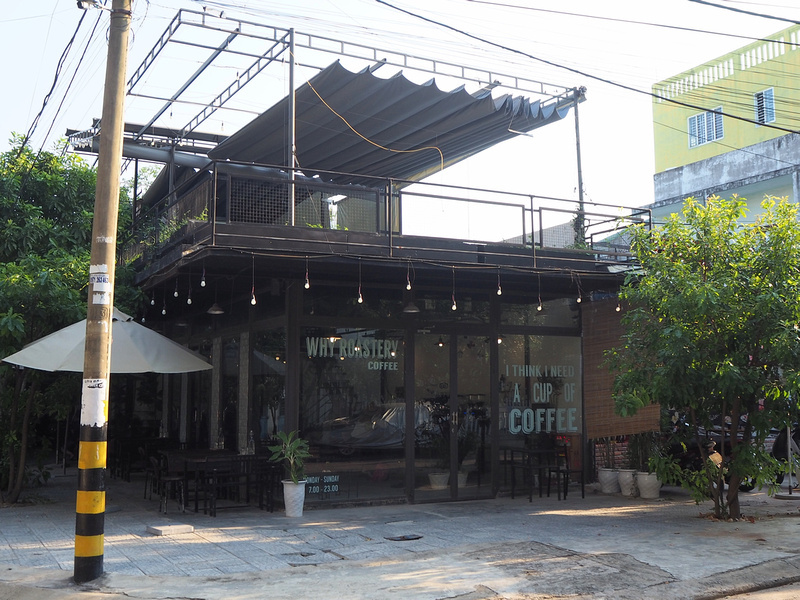 Vietnam has is own chain coffee culture, and one of the biggest is The Coffee House. They now have a presence here, and you might see them internationally soon. I saw this place near the beach that looked promising, so that will be something to see on my next trip. 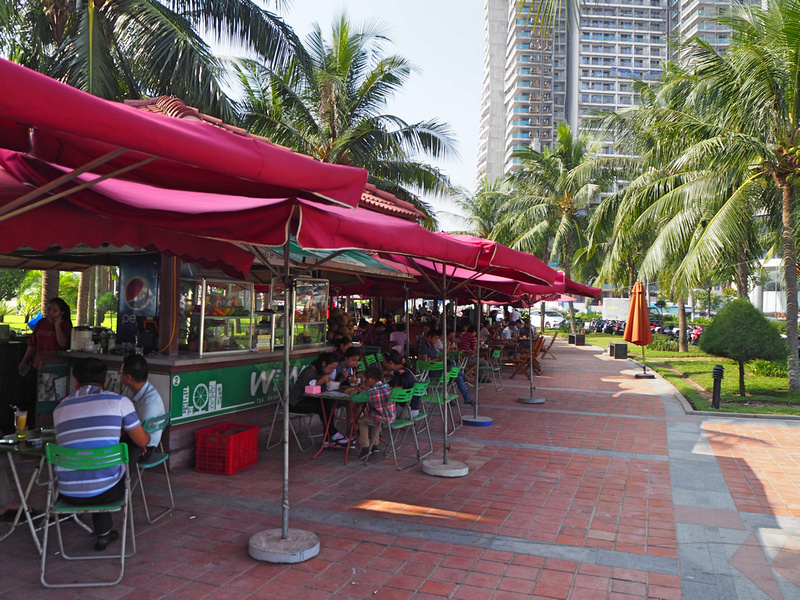 For local coffee I loved this row of outdoor cafes by the beach, where an iced coffee is 30,000 VND ($1.30 USD). 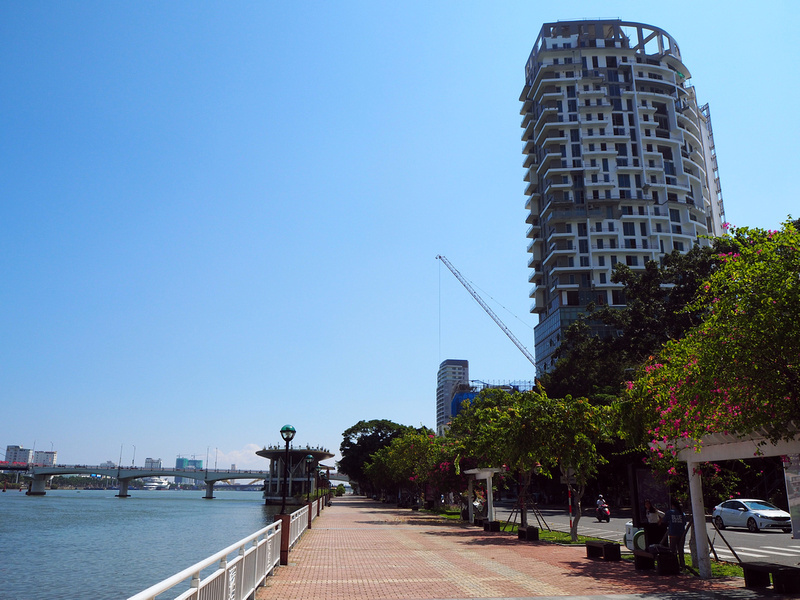 One of the great things about Da Nang is that it has a beachfront and riverfront. I usually stay by the river as it has more of a city feel and better street food. Now with the beach having more amenities I have a hard time picking where to stay. For this trip I split my time in both. 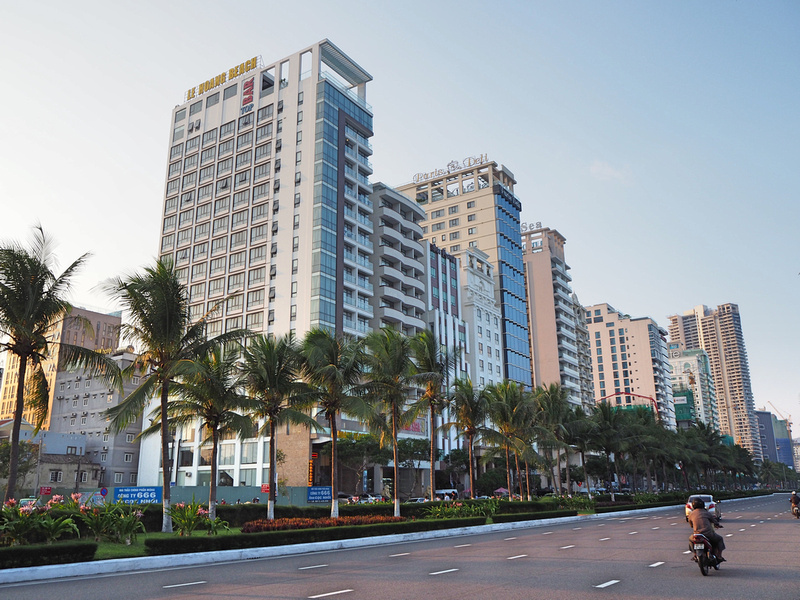 For more details see my guide on where to stay in Da Nang. In my trip report last year I predicted that one of the big Middle Eastern airlines will fly to Da Nang within 10 years. Just over a year later and Qatar Airways are launching direct flights to Da Nang from 19 December 2018. Will Emirates follow suite, and will a European airline eventually fly here? Vietjet started a Bangkok to Da Nang service, adding to the alternatives of Bangkok Airways and AirAsia. 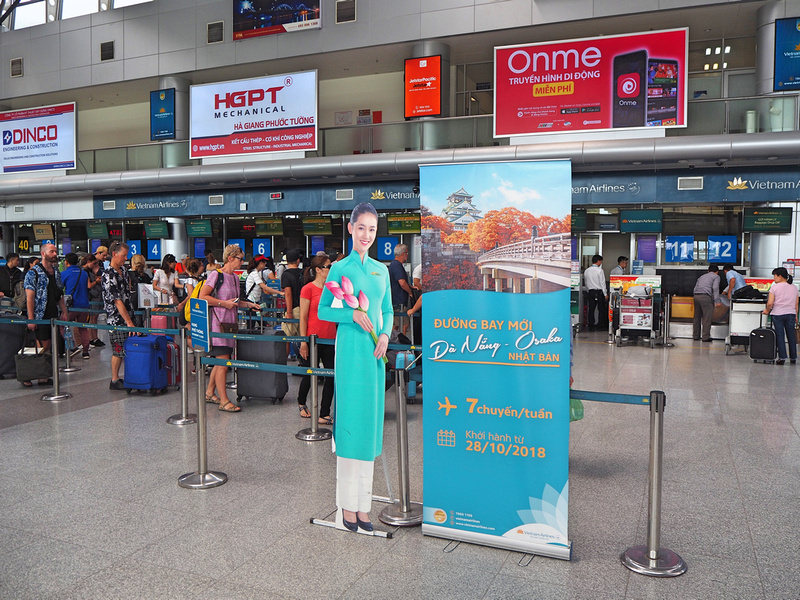 And Vietnam Airlines are starting a direct Da Nang to Osaka service. My flights wish list is for Da Nang-Chiang Mai and Da Nang-Bali flights. Those two pairings would be great Digital Nomad Express flights. 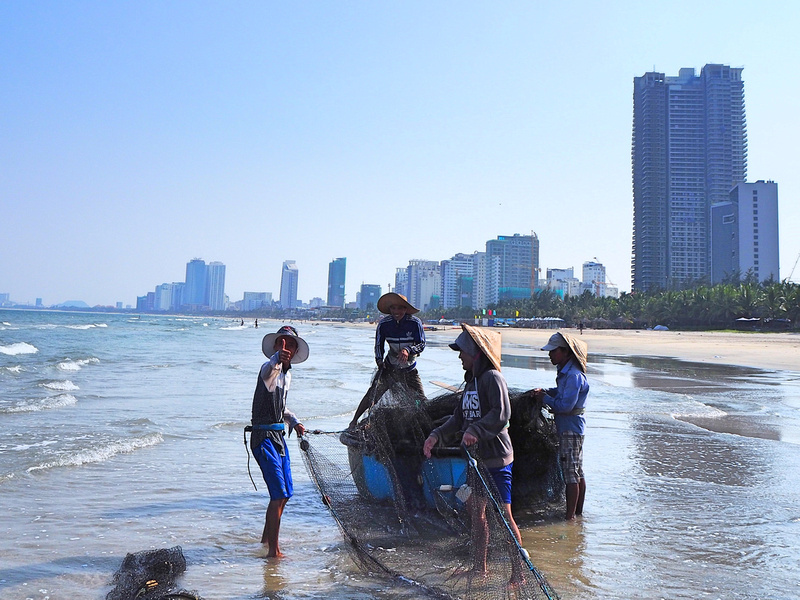 Another good pairing would be Da Nang to Penang, linking two of the great UNESCO World Heritage cities of Southeast Asia (Hoi An and Georgetown). A long shot but not entirely unreasonable would be direct flights from Australia. Jetstar briefly ran a Perth to Lombok service, which was a noble experiment. I think they would do better with a service from Sydney or Melbourne given how popular Vietnam has become as a destination in Australia. With my prediction of a Middle Eastern airline coming to fruition I thought I should make a new prediction – a hipster neighbourhood. I think in the next decade there will be an area comparable to Thao Dien in Saigon or Canggu in Bali. In my wanders I wondered where it might be and how it might formulate. There are several candidate areas, but all it could take would be a few cafes and restaurants setting up on one street, and the next thing you know a community grows around it. So that was my trip for 2018. At this point Da Nang is still a bit provincial for my living requirements. I’m a big city guy, so I was happy to get back to work in Saigon. 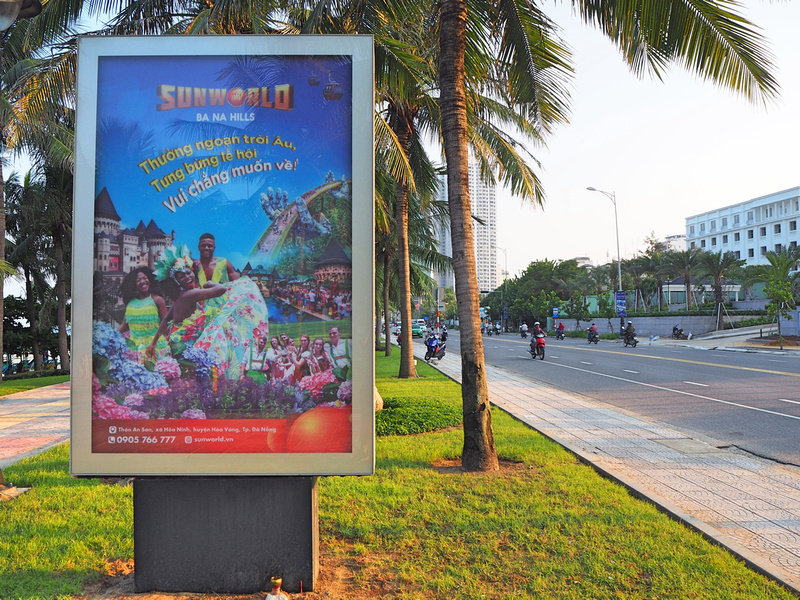 It’s hard to deny though that Da Nang would be an appealing place to live. I have a friend in Saigon who is the same age as me, and I say to him that in 20 years when we are at official retirement age I think Da Nang will have grown into a worldly city. Not that I see myself as retiring in the traditional sense, as I think I’ll always be doing something (I’m not a sit on the beach and do nothing type). And who knows whee I’ll be in 20 years. 10 years ago I was spending most of my year in Europe so i might have thought I would end up in Eastern Europe. 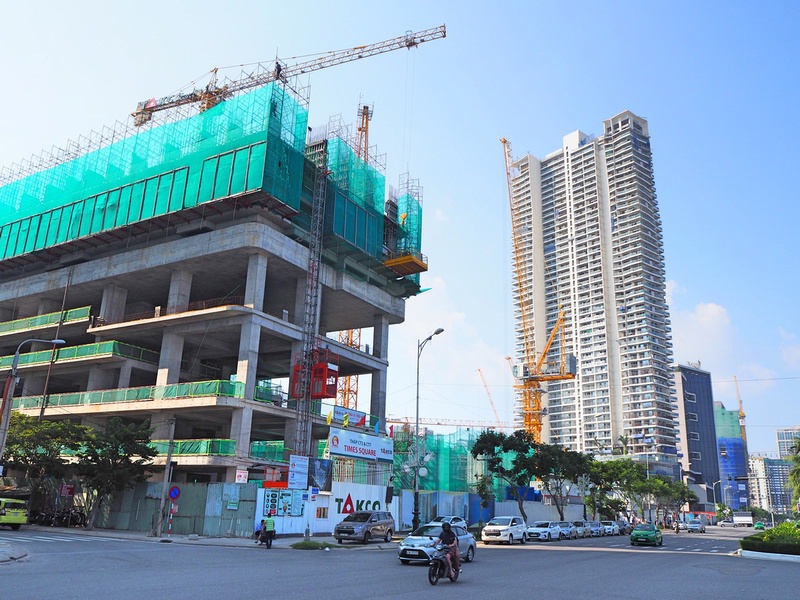 With Da Nang being the third city of Vietnam, placed midway between Hanoi and Ho Chi Minh City, and having access to the mountains and the sea, I think it will become one of the most prominent secondary cities in Asia. Even if I don’t retire here, I suspect I will be back here at a more regular basis. I’m going to make these Da Nang trip reports an annual post, so if Nomadic Notes is still online in 2038 there will be an archive of the changes over the years. I love reading your reports about cities, I’ve never been to Da Nang but it seems really interesting and I will keep in mind for my next trip to SE Asia. yes Medellin is in my top places to visit on my next South America trip, I’ve heard many good reports! great report on Da Nang. 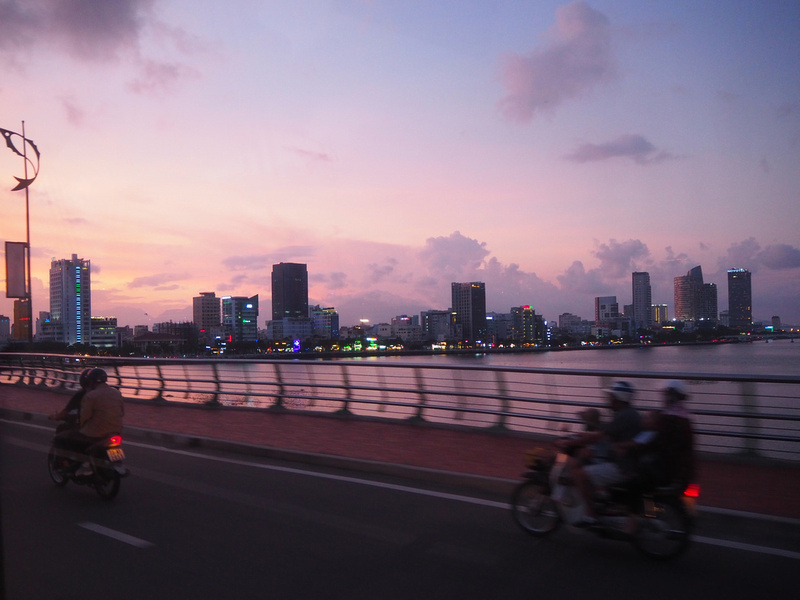 We only crossed it on our way to Hoi An and back but it looked like a great city and it felt good too. 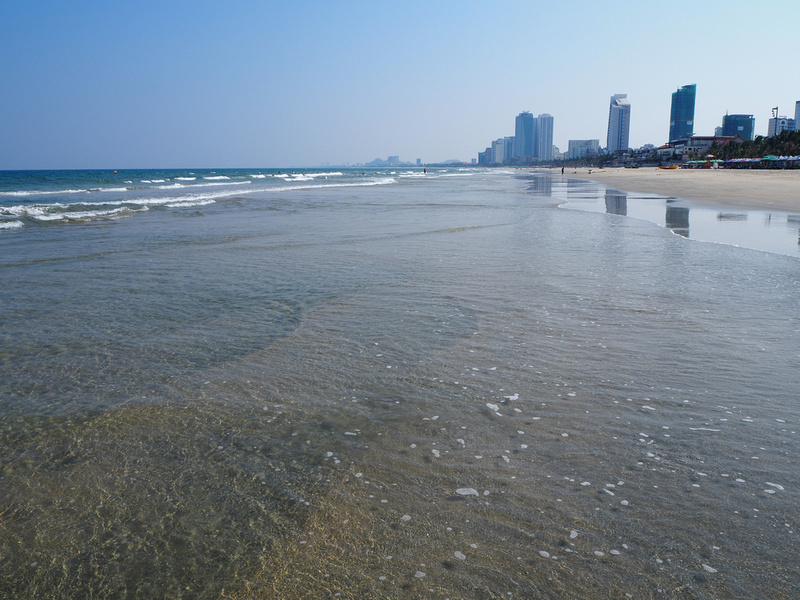 The beach is huge, it looks clean and the city has a cosmopolitan feel to it. I love that Vietnamese thing about lighting their buildings, it gives a magnificent look to a city at night. We first saw that particular (and expensive probably) feature in Moscow, then we saw it in Mongolia’s capital, and then in Seoul where they go all out with the light effects on their buildings. We found it back in Vietnam where we were surprised to discover that even small cities like Bai Chai in Ha Long Bay also spend millions on their light spectacles. If this is magic to our eyes, what does it say about the environment though. How much is a grande cappuccino in Starbucks? Good question, I’m more of an short Americano drinker. 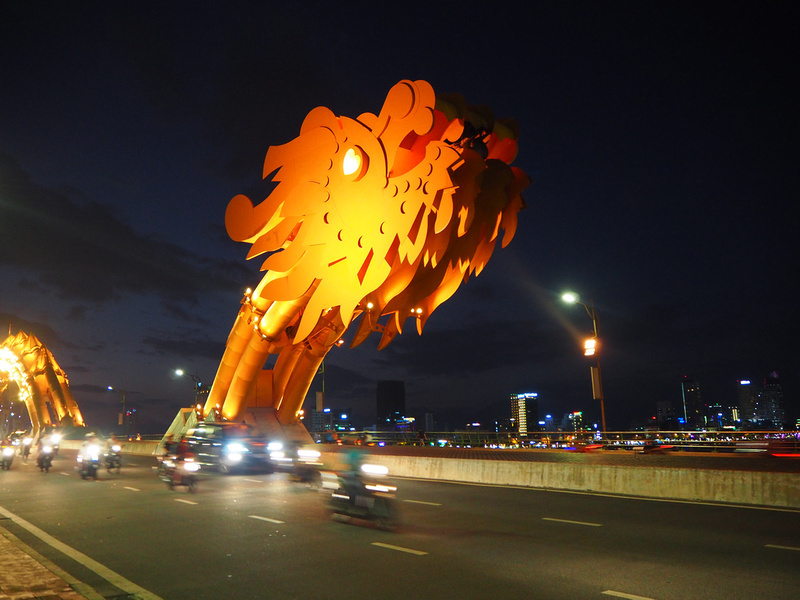 Hi – excellent and concise overview of Da Nang – a bit more info on the nightlife would be extremely useful. I’ve passed through Da Nang on route from Ho Chi Min City/Hoi An to Hue/Hanoi and regret not shopping there. Really like the way you present location data – photographs with cryptic and concise comments. Cheers! Whoa James! It looked SO different in 2012! Like a completely different place as the waterfront was almost all either empty resorts or resorts being built. Stunned to see the difference in 5 years. We also spent a few days there after Hoi An. Would love to return as we enjoyed it back then, and it has more to offer now I think. Great update. I really like the city and I’m planning on spending more time there. I too prefer the buzz and intensity of bigger cities likes HCMC but the pollution gets to me after a couple of weeks. I think with Da Nang’s geography it might fair better air wise than it’s two larger cousins up and down the coast. It’s obviously a lot smaller but that’s going to change obviously. Nice crisp coverage of a city with so much to offer. We traveled, return trip, up from HCMC by train with the Da Nang station also very central. The banks of the river reminded us of the Bund in Shanghai- much smaller of course but equally vibrant. Surely Nomadic Notes will still be online by 2038. I always take time to read every article you posted, i love it. Interesting stuff I had always heard Da Nang was a cool spot I’m curious if you don’t process great computer skills, don’t know how to program or design web sites can you still get customer service jobs and work remotely ant thoughts. I hope Da Nang will stay as it is and not become worldly city. I was there two months ago and I was delighted that it offers everything you need without the rush of big cities. There are many restaurants and coffees of quality, a lot of entertainment or you can just relax by the beach or drive a motorbike on the seaside avenue (even all the way to Son Tra). When you would be tired of the city you can go to mountains around or to Hoi An to enjoy touristic atmosphere.